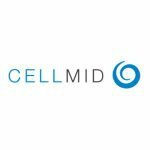 Cellmid, through its wholly owned subsidiaries Lyramid, Kinera and Advangen, develops and markets innovative novel therapies and diagnostic tests for inflammatory and fibrotic diseases, cancer, ischemic diseases of the heart and hair loss. The company holds the largest and most comprehensive portfolio of intellectual property relating to the novel targets midkine (MK) and FGF5 globally. Volume is a key word for life sciences play Cellmid (ASX: CDY). Its key hair loss product Evolis® aims to replace thinning hair with voluminous locks, while management seeks to volumise revenues, stock liquidity, and ultimately shareholders’ returns.